Designed to perform in demanding conditions, the TR1551 features top performance and numerous innovative features. Engine controls are grouped together on just one hand, making them easy to use for a single operator. 40:1 gear reduction for high drilling performance. Oversize three-shoe clutch for maximum power transmission. Safety lever prevents accidental acceleration. 3" - 8" auger sizes available. Weight without Augers: 20 lb. 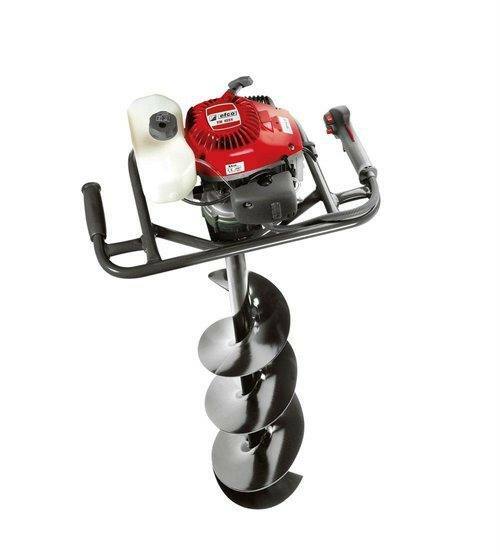 Auger Sizes: 3", 4", 6", 8"
3, 4, 6, 8 in.